My engine came with this HT lead sheath fitted. Was this fitted from the factory?? Thanks for your replies men. It seems a bit odd to have plug leads jammed up against one another like this. GM [and I'm sure other manufacturers] have been quite prescriptive about how plug leads should be separated. 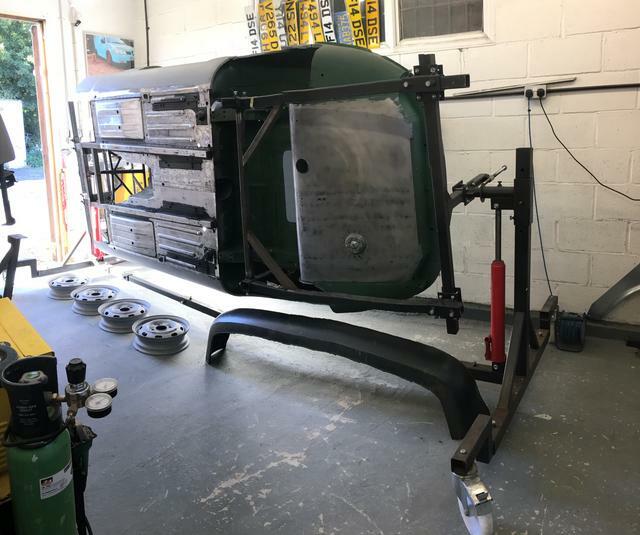 In particular, they specify that the leads for plugs that sit next to each other in the firing order should not sit alongside each other in the wire separators in case they track across and cause 2 cylinders to misfire one after the other. As much as I like the original look of this conduit, I don't think I'll be refitting it. Although as you can see from the photo, I'm aways off that yet!! 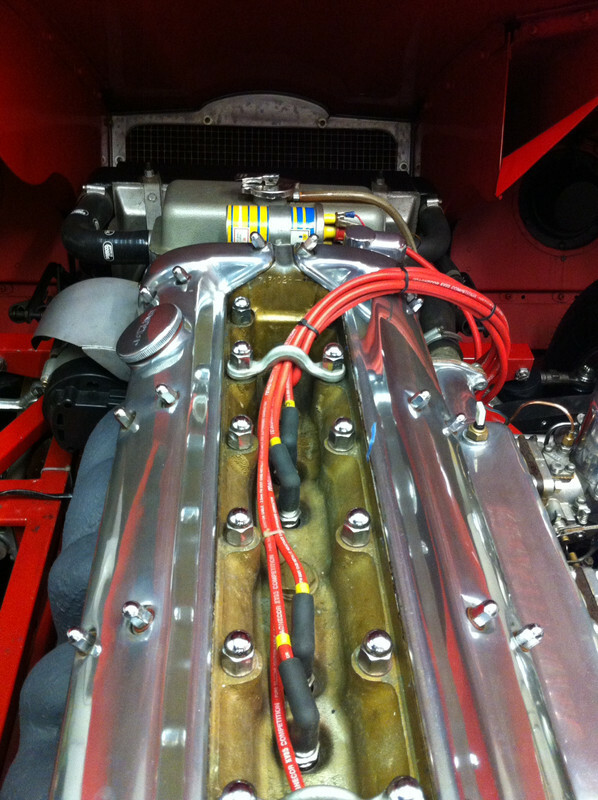 That ignition wire conduit was fitted to thousands of E-Type's without causing problems. 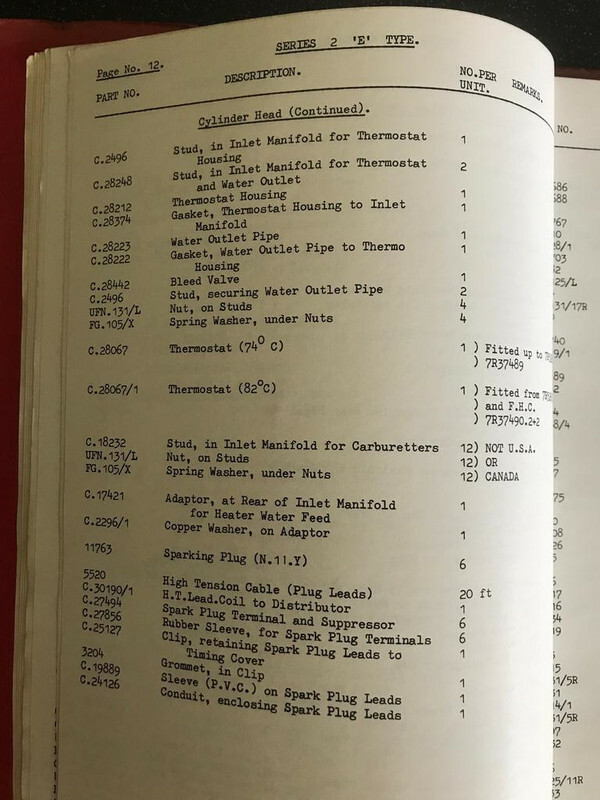 In fact SNGB have even recreated the very early conduit (for XK's and E-Type engines without lifting eyelets) because of demand. 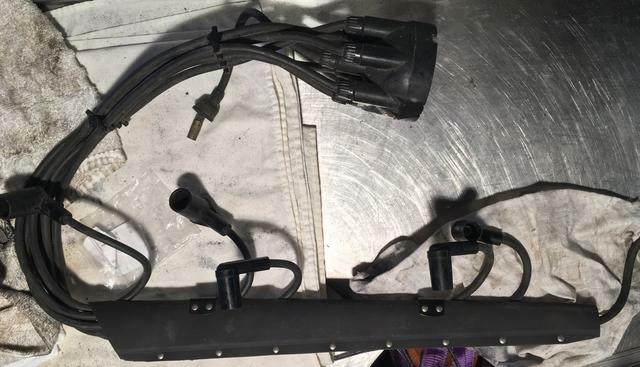 No reason not to fit the original conduit and bunching the HT leads together will not cause problems even with electronic ignition systems like the 123. Suggest you stop looking for problems and put the car together the way Jaguar designed it. If there is a problem when you get it back on the road THEN you can start looking for solutions!
" It seems a bit odd to have plug leads jammed up against one another like this"
Not at all. If there is a danger that the 40,000 volts (30,000 for a standard coil) is likely to earth through the insulation, that indicates poor insulation and a sub standard product. My car doesn't have the original HT lead tube, but all the leads are zip-tied together. They have been this way for 60,000 miles. The only ignition failure was the coil in this photo, which failed after about 20,000 miles. The car now wears a genuine Lucas sports coil. Jaguar took pains from early models onwards to separate wires from cap to plug, using round Tufnol spacers. In the mid fifties they introduced the famous bar spacer on the D-Type cam cover, which had the additional benefit of holding the leads in front to back sequence for fevered pit lane maintenance during long distance events. Bear in mind the HT wire used in those days was usually natural rubber coated and sometimes cloth braided and 6 mm or thereabouts in OD. The chances of cross-firing decrease by the square of the separation increase IIRC, so even a small increase in the distance between the two inner wires has a big effect in dropping the potential. Hence by the time you get to modern 7-8 mm or fatter solid core wires, covered with more effective silicone with/without plastic protective outer sleeve, you've got a great barrier even when wires are bundled together. I think the trend to plastic insulation or synthetic rubber happened around the late fifties.